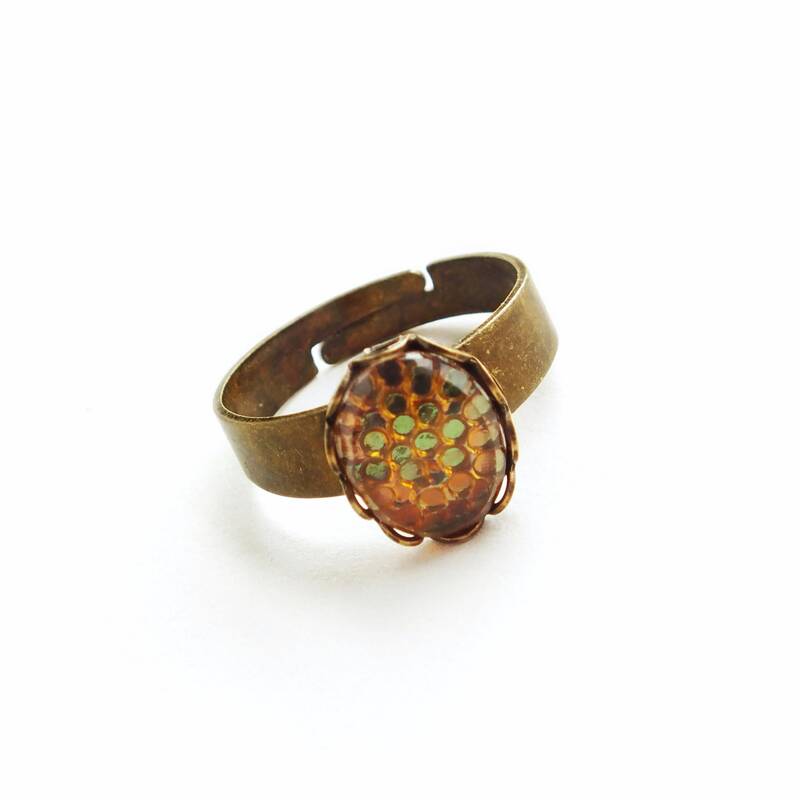 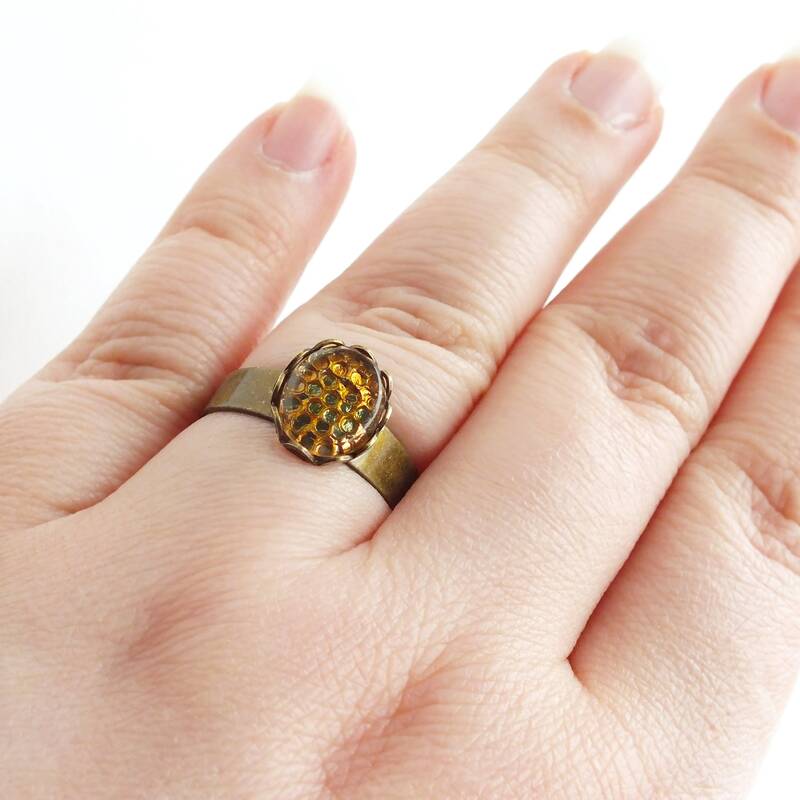 Handmade olive green ring with vintage glass honeycomb cabochon and adjustable brass band. 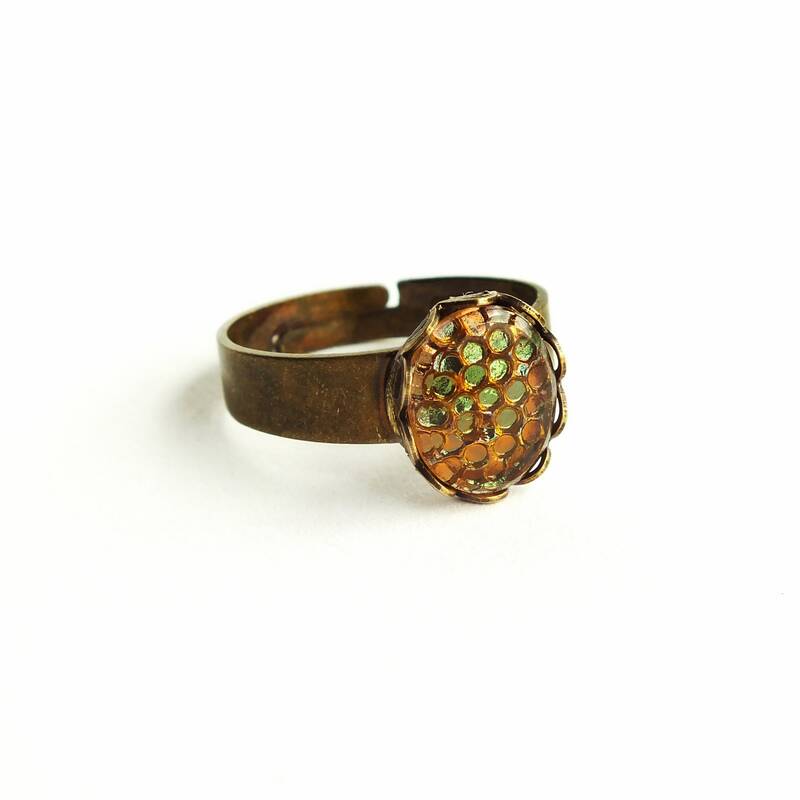 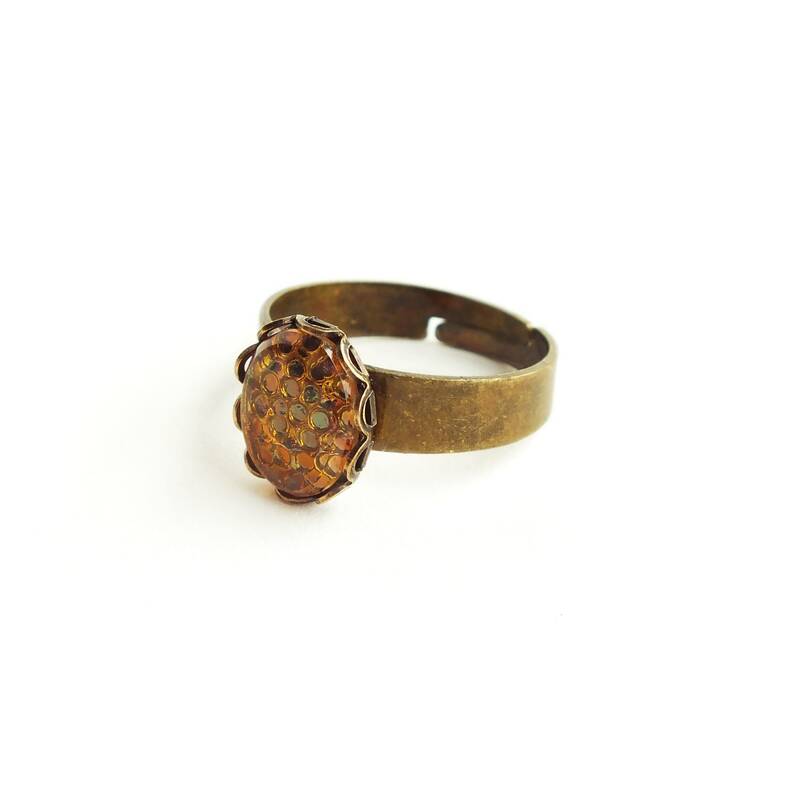 Eco-friendly genuine vintage stone and raw brass ring. 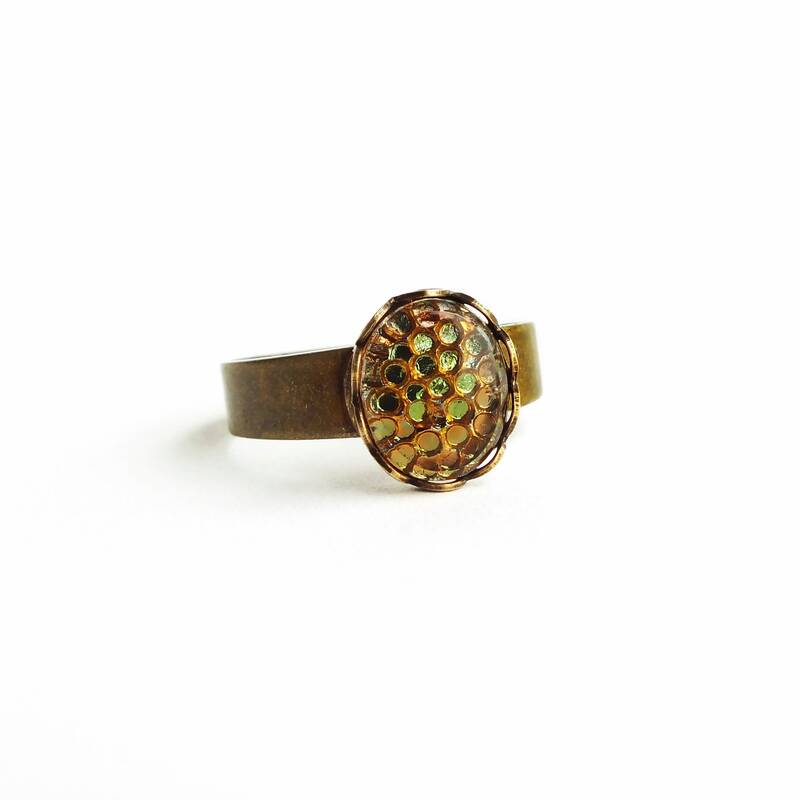 Adjustable ring made with an ultra rare vintage color-shifting metallic olive green and brownish amber gold glass cabochons with an amazing thousand eyes / honeycomb pattern.